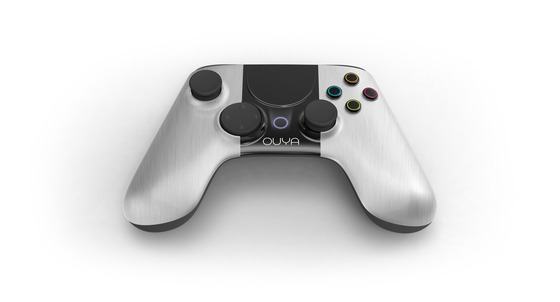 The cloud gaming platform OnLive will be availabe on OUYA at launch! Imagine playing top-tier games like Batman Arkham City L.A. Noire or Assassin’s Creed Revelations on your TV through the Ouya. Now with OnLive confirming its availability on Ouya this dream will come true! The coolest thing about OnLive is that you can play your favorite games not only on OUYA but on your PC, Mac tablet or phone also. Moreover you can play free demos for up to 30 minutes. If you’ve decided to buy full access to the game you can continue playing where the demo left off. All of the games are being rendered on the OnLive servers. This means that you could play any game on a low-end computer as long as your system is able to play video. 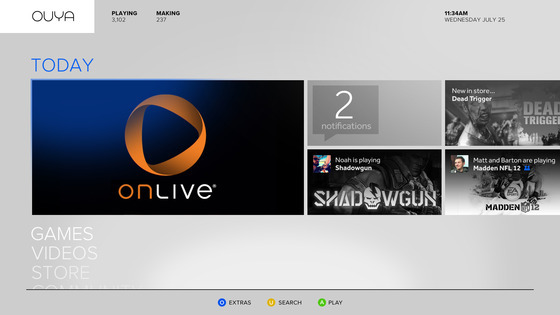 You will find the OnLive app on your Ouya Dashboard. OnLive offers their own wireless controllers but with your Ouya controllers you’re all set. Speaking of controllers here is a picture of the full controller. This may not be the final version of the controller but they could not hold back any longer. For now they stick to the colored circle buttons. Share your thoughts about the controller on the Ouya message boards.